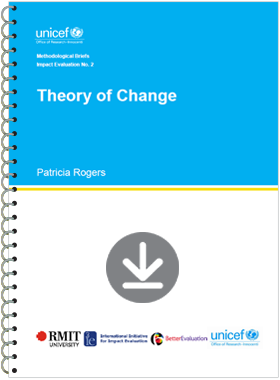 A theory of change explains how activities are understood to produce a series of results that contribute to achieving the final intended impacts. It can be developed for any level of intervention – an event, a project, a programme, a policy, a strategy or an organization. In an impact evaluation, a theory of change is useful for identifying the data that need to be collected and how they should be analysed. It can also provide a framework for reporting.